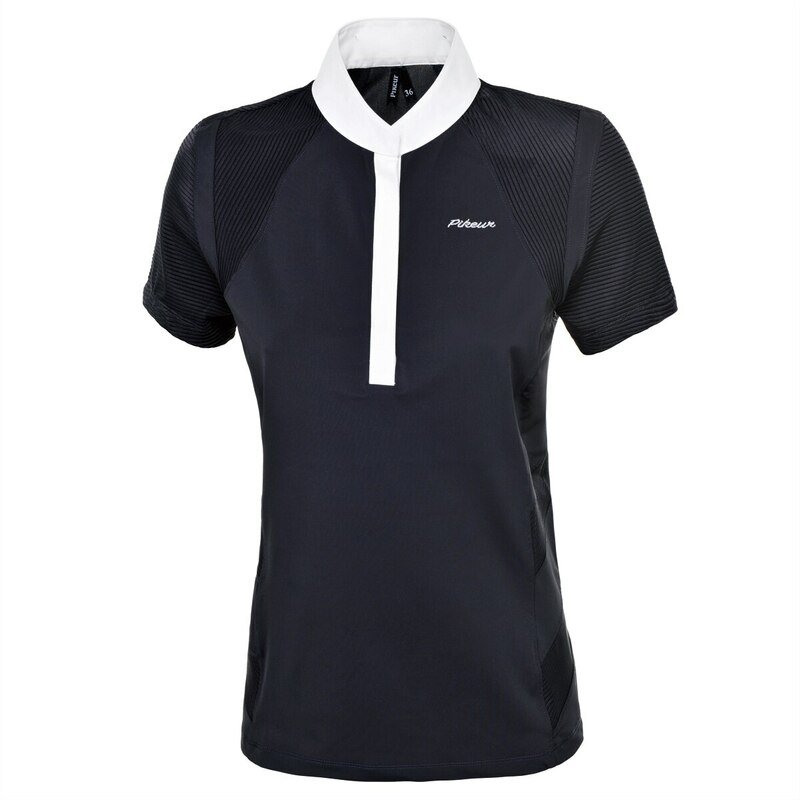 The Pikeur Pikeur Anija Short Sleeve Show Shirt with mixed materials for a sporty look. Side insersts give slimming look. 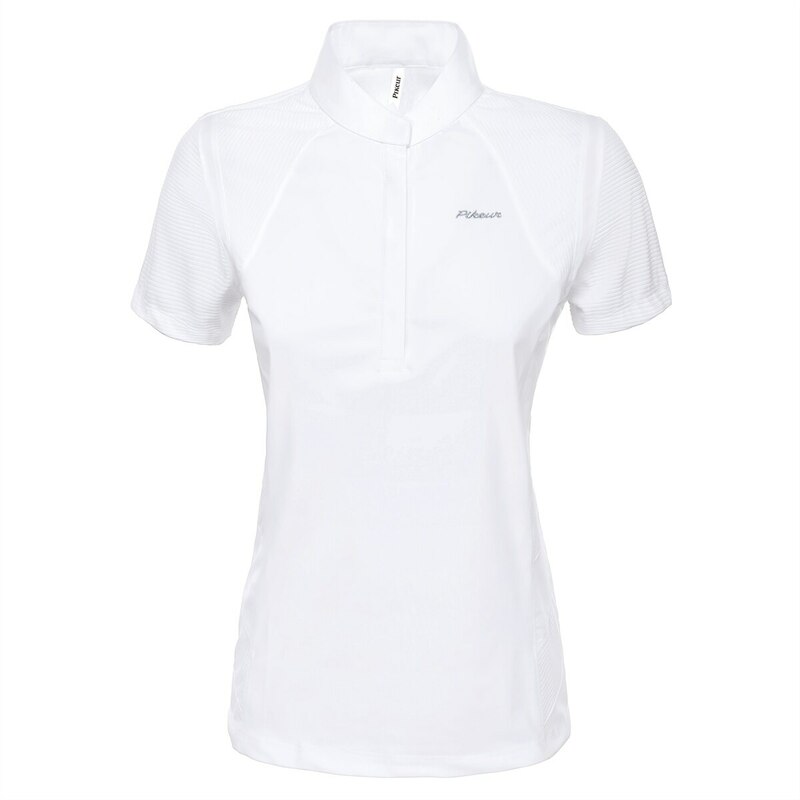 Plain white stand up collar.